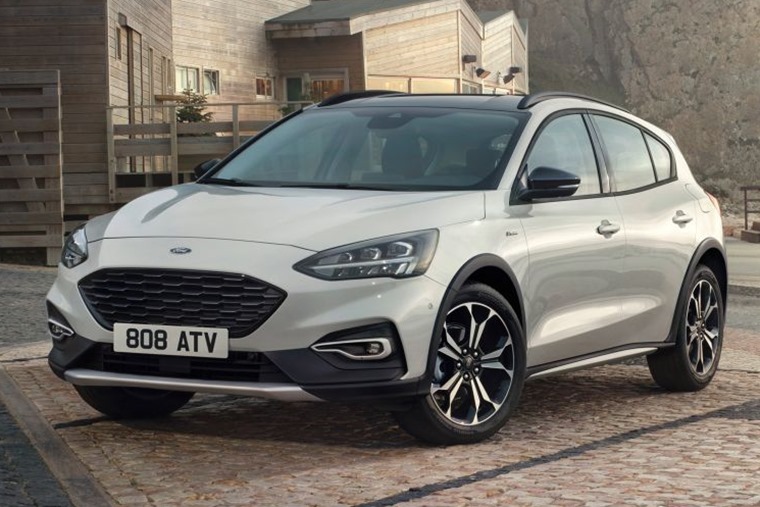 Ford has revealed the Focus Active – the crossover-inspired variant of its new Focus – will be priced from £21,900. Sitting alongside the Ka+ Active and Fiesta Active, it’ll be available for order from January. 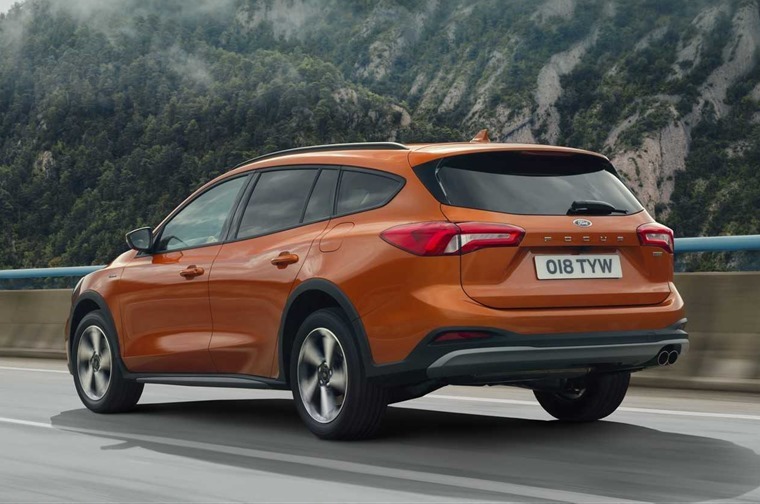 Available in both hatchback and estate form, it’s around 35mm higher than the standard Focus thanks to an Active-specific suspension set-up. Aside from the obvious bump in ride height, there’s some unique trim, too. The most obvious changes are the beefier bumpers and body mouldings that now adorn the wheel arches. There’s a different grille, too, while the ‘off-roady’ appearance is finished off with a set of front and rear skid plates. 17in alloy wheels with higher profile tyres feature as standard, while a set of larger 18in rims are also offered. New colours include Metropolis White, while customers can also choose a contrasting roof colour depending on body colour. Inside, differences are harder to spot. There’s some unique trim pieces and distinctive Active upholstery, although in essence it’s exactly the same as the standard Focus, bar some snazzy Active scuff plates along the door bottoms. Ford’s SYNC3 infotainment system features, with an 8in touchscreen featuring pinch and swipe tech. It’s compatible with Apple CarPlay and Android Auto, too. 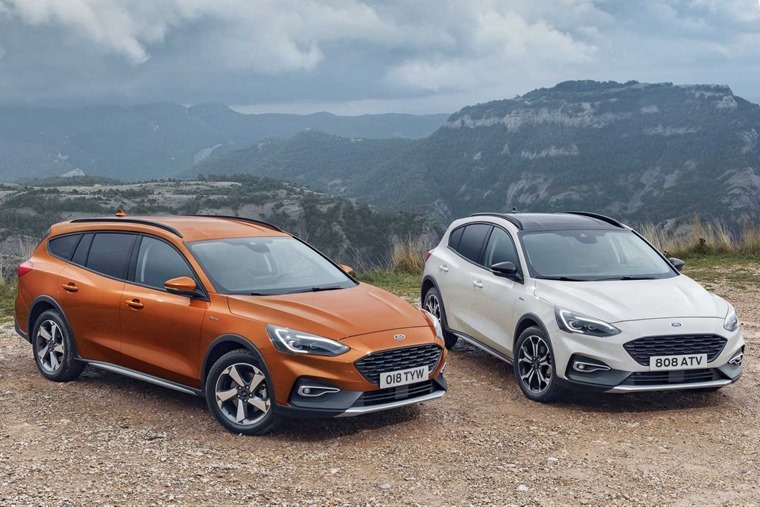 Engine-wise, it’s available with Ford’s 1.0-litre and 1.5-litre EcoBoost petrol engines, the latter of which is available with up to 180bhp. 1.5-litre and 2.0-litre EcoBlue diesels are also available, offering up to 150bhp. A six-speed manual is standard across the line-up, although an eight-speed automatic controlled via a new rotary-dial gear shifter is optional. While it can’t boast a four-wheel drive system, Ford has added two new modes to its Selectable Drive System. As well as Eco, Normal and Sport, Active drivers are able to choose Slippery and Trail too. 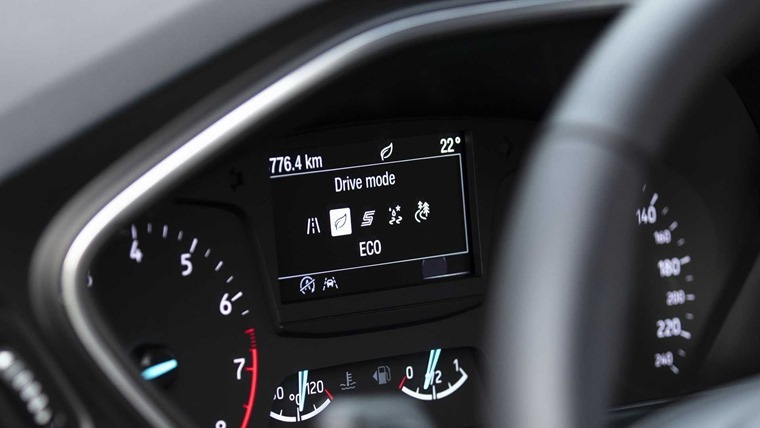 The former increases grip in mud, snow and ice and aims to reduce wheelspin, while the latter reconfigures the traction control to maintain momentum on soft surfaces such as sand. Available to order from January, it will be priced from £21,900. Lease rates aren’t available yet, but we’ll bring you the best deals as soon as they’re available. If you can’t wait until the new year, you can find thousands of lease deals on the all-new standard Focus by clicking here. Alternatively, check out what Ford your monthly budget could get you.